Star Trek: Discovery vs The Orville Which One Is Worth Your Time? After a long dry spell on television, space exploration is back in a big way on TV - with two new shows, Star Trek: Discovery, and The Orville, both coming out within weeks of each other. We've had a chance to watch the first three episodes of Star Trek: Discovery so far, of which the first two were almost like a prologue, with the real series only kicking off now. Meanwhile, four episodes of The Orville are out now, and both will be getting fresh episodes over the weekend. If Star Trek: Discovery is a continuation of the iconic series, then The Orville was presented as a slapstick spoof, having more in common with Galaxy Quest, than with Trek. Having watched initial episodes of both series though, the divisions between the two aren't necessarily that simple, particularly if you happen to have binged on the older Trek series like the original series, and The Next Generation, which are available on Netflix. In some ways, Discovery shares more with the rebooted movies JJ Abrams produces than with the earlier shows, and Star Trek: The Next Generation, in particular, had a certain goofy side that makes The Orville feel more like a spiritual successor than Family Guy in space. So which one actually does Star Trek better? In terms of its aesthetic, The Orville definitely looks to the shows, and particularly Star Trek: The Next Generation. The way the ships look, the way the lighting of the scenes is done, and even the colours that are used feel very familiar. Also, although it's a parody, it's a very loving one. There's a lot of humour in the series - which can fall flat at times, such as the drinking and driving sequence very early in the first episode - but it's not the only mode for the show. 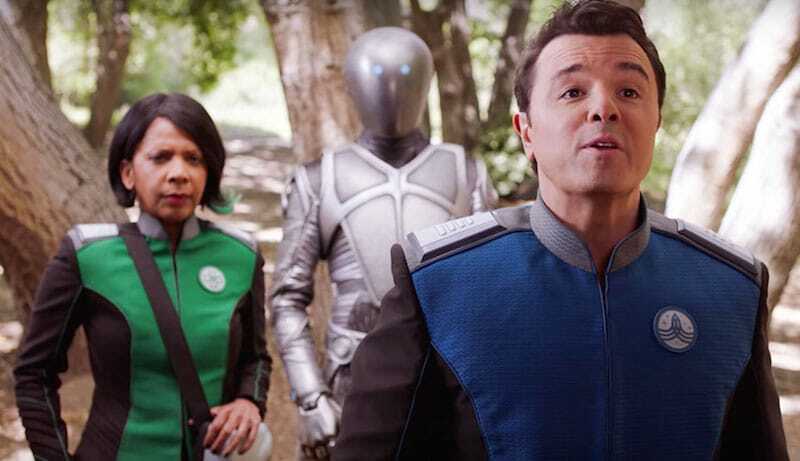 It's unlikely that The Orville will ever give us an episode like The Measure of a Man, but some of the goofier holodeck adventure episodes could certainly fit right in. Star Trek Discovery, on the other hand, feels like a step away from the shows, despite being hailed as a return to television. Its aesthetics share a lot with the new movies, for better or for worse. That's not a bad thing per se - the first two episodes are gripping and showed a good flow. The big death in the second episode seems to come out of nowhere but also helped set up the tone of the third episode very nicely, and in very short order, gave us a lot of context to the characters. It just ends up feeling more like Star Wars along the way. 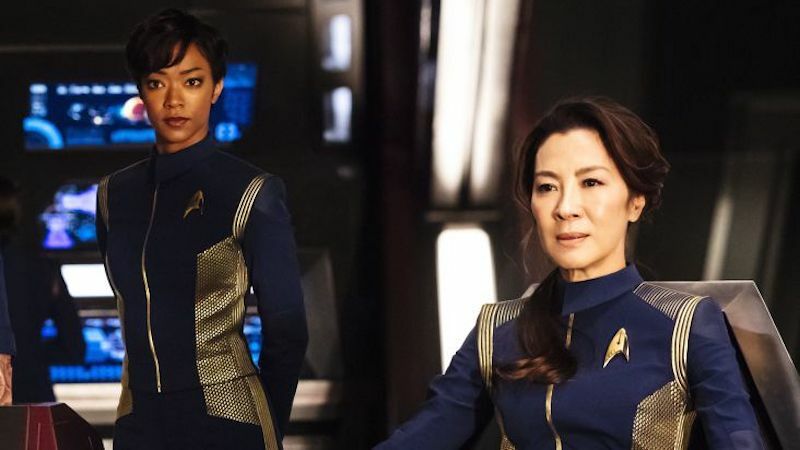 In many ways, Discovery does a lot more to advance the idea of what Star Trek is, and the dynamic between Sonequa Martin-Green's Michael Burnham, and Michelle Yeoh's Captain Philippa Georgiou was really great to watch. Taking that away feels like a step back, but at the same time, Jason Isaacs' Captain Gabriel Lorca has also been pretty good. As a science fiction fan, you'll find it easy to enjoy both shows, and they're certainly worth watching. The trailers sold The Orville as an over-the-top, slapstick comedy, but there's actually the core of a thoughtful show under there. And at the same time, the Star Trek: Discovery trailers looked sleek and action-filled, but the characters are able to shine nonetheless. The Orville does a better job of keeping the classic Trek on your screens, and for that reason, if no other, it's worth watching and enjoying. Fans who loved the earlier TV series and want a dose of nostalgia should tune in to the show. 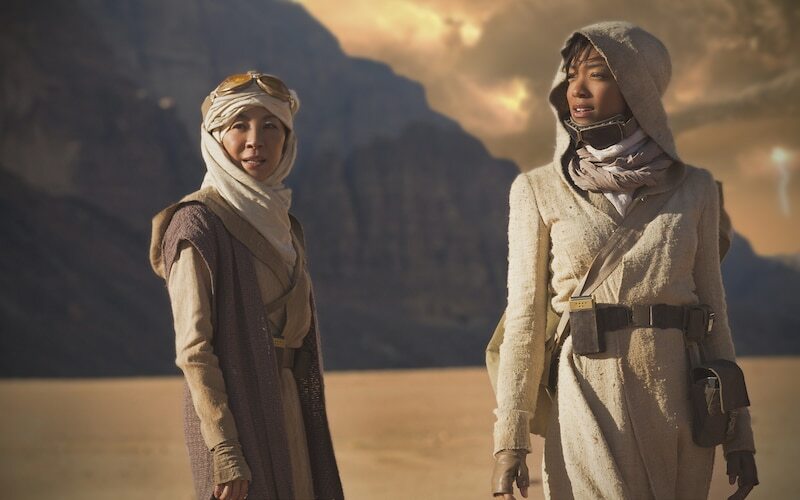 What makes Star Trek: Discovery appealing is that it's the future of the series, and it's taking the franchise forward in an interesting direction. The storytelling is more serialised, while the action is more cinematic, and this results in some compelling science fiction that you should watch. But is that good enough? As we mentioned - don't expect an episode like Measure of a Man from The Orville. One of the things that made Trek so interesting to watch was that it was at its core a show about philosophy, not exploration. On the surface, the crew was hurtling between worlds and meeting new races, but more often than not, the episodes were an exploration of what it means to be human, to have empathy, and this opened the doors to some of its most memorable episodes. Star Trek: Discovery does do this, to a degree - it's clearly the more mature show - but it tries to bring in modern day allegories as well, and although that is almost certainly better storytelling, it lacks that perhaps offbeat flavour that made a series like Star Trek: The Next Generation so enjoyable. We're certainly enjoying both shows, but it's clear that they both have room to grow and change, and it's going to be interesting to see what the answer to this question looks like by the time both have finished their first seasons. Star Trek: Discovery is available outside the US via Netflix, while The Orville is available in India via Hotstar Premium, and also airs on Star World Premiere HD on Sunday 9PM IST.